Much modern wine culture derives from the practices of the ancient Greeks. Greek wine was widely known and exported throughout the Mediterranean basin, as amphorae with Greek styling and art have been found throughout the area. The Greeks made wine in their numerous colonies in modern-day Italy, Sicily, southern France and Spain. Wine used to be an integral part of the Roman diet as well and wine making became a precise business. Many grape varieties and cultivation techniques were developed during the Roman Empire, and later glass bottles, began to compete with terracotta amphorae for storing and shipping wine. Red wine is made from the must(pulp) of red or black grapes that undergo fermentation together with the grape skins, while white wine is usually made by fermenting juice pressed from white grapes, but can also be made from must extracted from red grapes with minimal contact with the grapes’ skins. Rosé wines are made from red grapes where the juice is allowed to stay in contact with the dark skins long enough to pick up a pinkish color, but little of the tannins contained in the skins. During this primary fermentation, which often takes between one and two weeks, yeast converts most of the sugars in the grape juice into ethanol (alcohol) and carbon dioxide. After the primary fermentation, the liquid is transferred to vessels for the secondary fermentation. Here, the remaining sugars are slowly converted into alcohol and the wine becomes clear. Some wines are then allowed to age in oak barrels before bottling, which add extra aromas to the wine, while others are bottled directly. 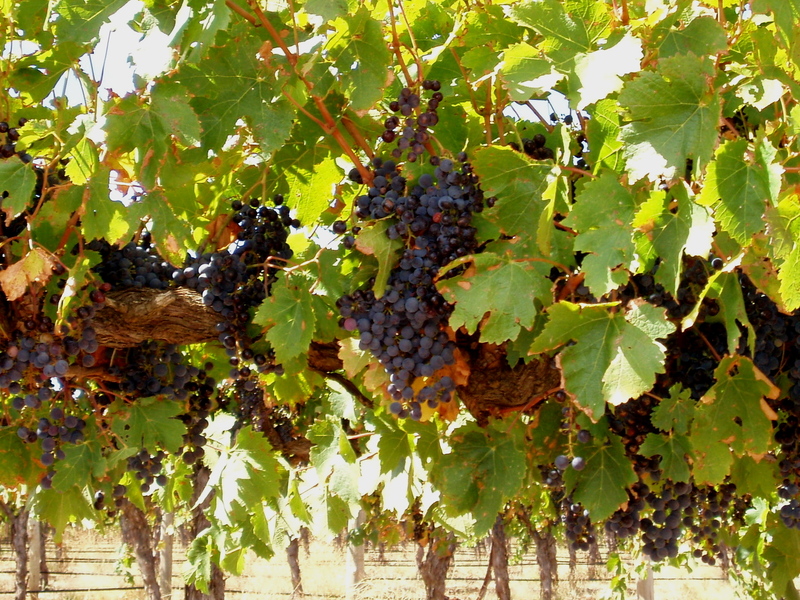 The time from harvest to drinking can vary from a few months to over twenty years for top wines.